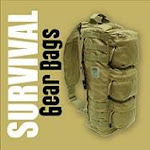 I see a lot of discussion on survival forums and blogs about the options available for radio communication among small groups in a post-SHTF situation. 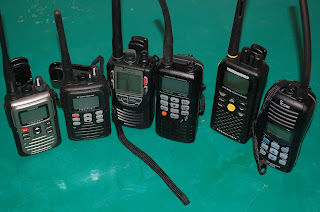 There are many types of radios that can meet some or most of the communication requirements, including FRS (Family Radio Service), GRMS (General Mobile Radio Service), CB (Citizen's Band) and VHF (Very High Frequency) marine-band radios. Those who live in coastal areas or along major navigable inland waterways who are planning to bug out by boat will already be familiar with VHF radios, as they are standard equipment for most vessels, whether hand-held or fixed-mount units. While it is illegal to use channels in the marine VHF band for communication on land in normal times, in any scenario forcing you to bug-out in the first place, this will not likely be something to worry about. 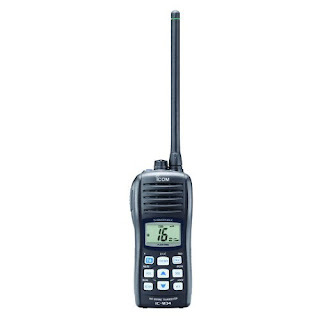 The advantage of marine VHF radios over most of the alternatives is that this band offers a large range of channels and hand-held units have two power levels for the transmitter, usually 1 watt for low power and 5 or 6 watts for high power. This gives good range, especially on the water or in open country. Another advantage of hand-helf VHF units is that they are now more rugged than ever, and several models are available that are not only waterproof, but submersible as well. I tested a selection of these last year and reported my findings in an article published in Sea Kayaker magazine. I'm posting the full article below. Keep in mind that the focus of the piece was directed at recreational sea kayakers, but I think anyone considering hand-held radios for survival preparations could benefit from the analysis of these units and decide if this type of radio could meet their needs. A hand-held VHF marine radio transceiver has been on my checklist of essential safety gear since I began venturing out on the ocean in a sea kayak more than twenty years ago. Even then, there was a variety of reliable offerings from different manufacturers at reasonable prices, but today’s technology has vastly improved the hand-held VHF. It should be noted right away that technology has also introduced many new options for communication, including standard cell phones and more exotic satellite cell phones, but these should be viewed as supplements, and not substitutes for a marine band VHF radio. VHF radios allow direct communication with other vessels of all sizes and description, and provide dedicated and direct channels for contacting the U.S. Coast Guard and other search and rescue agencies. If you make a distress call with a cell phone, only the party you are calling can hear you and you will be hard to locate if you do not know your coordinates. Although the transmission range of hand-held radios is limited by an output power of 5 or 6 watts; on the open water this is sufficient for several miles. In most coastal areas boaters frequent there will likely be other vessels close enough for communication. Until recently, hand-held VHF radios were somewhat delicate electronic devices that would not survive long in the wet environment of a sea kayak cockpit or PFD pocket without good protection from waterproof bags. In those days, I used purpose-made waterproof radio bags that allowed operation of the controls through the clear plastic. These were satisfactory, but on longer trips the bags usually failed at some point and the radios themselves would eventually succumb to moisture from condensation within the bag, even without a direct splash or inadvertent dunking. Radios in dry bags would survive longer if stuffed into a second layer of protection, like a deck bag or dry bag in the cockpit, but the added barrier from water comes at the expense of quick access, especially in rough conditions. A new generation of fully waterproof hand-held VHF radios has been available for a few years now. Many of these radios are not only submersible, but also designed to float if dropped overboard. They’re ideal for sea kayaking. I tested submersible hand-held radios from six different manufacturers: Standard Horizon, Cobra Marine, West Marine, ICOM, Humminbird, and Uniden. I compared special features, ease of use, power consumption and general quality, and subjected them to a submersion test to see if they survived as advertised. All of the models tested are rated to at least JIS7 standard, meaning they are supposed to be waterproof for a period of 30 minutes at a depth of one meter. I dropped each radio into the water while it was turned on and receiving a NOAA weather channel station. Then, I put all of them into a deep drum of water. The models that float were weighted down keep them on the bottom. After 30 minutes the radios were retrieved from the water and powered up. After I dried the exterior, I opened the battery cases to check for leaks. Each of the radios was tested for clear reception of NOAA weather radio channels and for reception and transmission of VHF communication channels. All performed as expected of a hand-held VHF for signal strength and sound quality. The Standard Horizon HX750S has the most powerful transmitter in the group, rated at 6 watts on the highest setting. All the other units have a maximum output of 5 watts. A low power setting of 1 watt is standard on all VHF radios to minimize interference with other vessel communications farther away when you are in a close range situation where more power is not needed. The HX750S also offers 5 watt and 2.5 watt intermediate settings. A unique feature of the HX750S that I have not seen before in a hand-held VHF radio is the S.O.S. STOBE that utilizes a high-intensity white LED on the front control panel as a visual distress beacon. When the strobe is enabled, the LED blinks the internationally-recognized Morse Code “S.O.S.” message ( … --- …) 5 times per minute. This could prove especially useful for kayakers after radio contact is made with rescuers, as it would greatly improve the chances of being seen at night. Another unusual feature is a built-in water temperature sensor. With this thermometer enabled, the face of the radio can be placed in the water for several minutes and the temperature of the water will be displayed on screen. This radio is floating as well as submersible. When dropped into the water, it floated on its side, still receiving clearly. After the one-meter submersion test, it still performed perfectly and an inspection of the battery case proved it was dry inside. The HX750S comes with a lithium-ion battery and a charger with both AC and 12-volt DC adapters. Optional, but not included, is an alkaline battery case that fits in place of the rechargeable battery pack. For kayakers on long expeditions in remote areas with no way to recharge the lithium ion battery, the ability to use alkaline batteries for back-ups is essential. Controls on the HX750S are all push-button and the keys are large enough and spaced far enough apart to use with neoprene paddling gloves. There is no separate on/off, volume control and squelch knob, which I would prefer for ease of operation. You select the button for volume, squelch and band before using the up and down keys to make changes. This system is not as intuitive for me as a manual control knob, but works. The LCD display is large enough and the automatic backlight that comes on when any key is pressed makes it easy to see at night. The HX750S includes a belt clip and a tether for additional security. All of the radios tested came with some sort of removable belt clip that will not be practical when paddling. Removing the clip might be the best option if the radio is to be carried in a PFD pocket. Without the clip, the HX750S radio case is slim and compact, especially for a floating unit, and will fit into a PFD pocket easily. Cobra Marine claims its MR HH425LI VP is the first handheld radio to combine VHF and GRMS. It also features Cobra’s “Rewind, Say Again” ability to replay missed calls. GRMS, or General Mobile Radio Service, is a land-based mobile service available for short-distance two-way radio communications in the U.S.A. With a license from the FCC, GRMS users can communicate while on land, something not permitted when using VHF marine frequencies. This may be of interest to some kayakers if their plans involve hiking and other onshore activities, but would require at least two radios with the GRMS capability. GRMS is different from FRS (Family Radio Service) in that the transmitter can be used at 1 watt or 5 watts, while FRS only radios are allowed 0.5 watt maximum power. The Cobra MR HH425LI VP does not operate on FRS only channels. The transmitter power on this radio can be set to 1 watt, 3 watts, or 5 watts for both VHF and GRMS channels. The rewind, play-back feature could be useful in certain situations. In the owner’s manual description of this feature, one suggested use is to replay messages involving GPS coordinates or vessel identification numbers that might have been missed in the live transmission. The Cobra MR HH425LI VP is powered by a lithium-ion rechargeable battery and comes with both an AC charger and 12-volt DC charger. A nice bonus is a battery tray that holds 6 AA alkaline batteries that is included in the package and fits in the holder for the rechargeable unit. The battery life estimates given in the manual are based on 90% stand-by mode, 5% transmit, and 5% receive. Times given are 14 hours at 5 watts and 23.5 hours at 1 watt, for the rechargeable battery. The alkaline battery life is estimated at 20 hours at 5 watts and 35 hours at 1 watt. The on/off, volume, and squelch controls are located on the top of the unit in the form of a dual manual knob, which I find easier to use than the push button only controls on some of the other radios. The band selector key and other controls, however are located in a tight cluster below the display and are fine for bare handed use but too closely spaced and small for use with neoprene gloves. The volume up and down buttons, the scan button, and the Channel 16 button are located on the sides of the display and are easier to get to. The display itself is large and a backlight comes on with the activation of any key. There is a tether and a secure attachment point for it on the top of the case, as well as belt clip that can be attached to a swivel knob on the back. The Cobra MR HH425 LI VP is rated as submersible but does not float. When dropped into the drum of water while turned on and receiving, it continued to operate just fine. After 30 minutes on the bottom it powered-up and operated fine. When the battery case was opened, a few drops of water were found inside. The Humminbird VHF 55S is a no-frills version of a submersible marine VHF radio. It provides all the essential features of the other radios tested, with the exception of an included rechargeable battery pack. The radio operates on 6 AA alkaline batteries and for kayakers who do multi-day trips this is a better solution anyway. For those who do prefer rechargeable batteries an optional Ni-MH battery pack with an AC and 12-volt DC charger is included in the VHF 55S Plus radio package but not in the basic VHF 55S package as tested. Like the Cobra, this radio does not use all push-button controls and has the knobs that I prefer for on/off, volume, and squelch. These are located on the top of the case like older VHF radios and are easy to use with gloved hands since they are large and one is dedicated to squelch only. The other buttons for channel up and down, band selection, scan, and watch functions are also large enough to operate using gloves and are located below the display. The display itself is adequately large and like all the radios in this class has an automatic backlight that comes on when any key is depressed. Despite the easy to use controls, the overall feel of this radio is that it is a bit bulky, even though I have large hands. The plastic case is slippery everywhere except for two built-in rubber grip strips on the sides and it seemed like it would be the easiest one to accidentally drop. A wrist tether is included, and using it would help prevent this. The removable belt clip is the swivel type that pivots on a knob. The Humminbird VHF 55S isn’t built to float, but survived the dunking while turned on and receiving a weather channel, and came out of the 30 minute submersion test operating fine. When opened up afterward, however, more than a few drops of water were found inside the battery case. The leakage was significantly more than in any of the other radios tested but did not cause any immediate failure or damage. The ICOM ICM-34 is a slim, submersible and floating VHF radio that weighs only 10.7 ounces, making it the lightest weight radio of the test group, but just barely lighter than the 10.8 ounce Standard Horizon. Transmitter output power is 5 watts maximum, and there is, of course, the standard 1 watt low power option. The ICOM ICM-34 comes with a lithium-ion rechargeable battery pack and an AC charger. The case for 5 AAA alkaline cells is not included but is available as an option. Although it would be nice to have both options in the basic package, I would rather have the alkaline pack than the rechargeable as basic equipment. Since most users of these radios are day trippers or operators of power or sailing vessels with on-board recharging capability, VHF radio manufacturers likely assume the rechargeable battery packs are most desirable. The ICOM radio lacks the on/off, volume control, and squelch knobs that I prefer, and instead has a single small button on the top of the case for powering on and off. This push button is small and difficult to activate with a gloved finger. All the other controls are large buttons with adequate spacing between them and are located in a grid at the bottom of the front of the case below the LCD display. The other radios tested all have speakers in this bottom section of the case and the display at the top, with controls in the middle section. The speaker in the ICOM is located in the top of the case and the display is in the middle, instead. The only problem I see with putting the control keypad so low on the case is that it makes one-handed operation a bit difficult, as the thumb has to stretch more to reach the buttons. Other than this variation in the speaker and keypad location, I like the ergonomics of the ICOM case. It has a slimmer mid-section that fits naturally in the hand and will readily go into a pocket. On the back there is a sturdy, low-profile belt clip that can be easily removed. A tether fits through a purpose made recess in the case above this clip. When dropped into the water the ICOM popped back to the surface in an inverted position, floating upside down with the receiver still working. After the 30-minute immersion, it still functioned fine, but there were a few droplets of water inside the battery case. The first thing that distinguishes the Uniden MHS550 from most of the radios in the test group is its compact size, and the general high quality of its all-aluminum case construction. It is rated to the higher JIS8/IPX8 Immersion Protection Standards (submersible in one and half meters of water for 30 minutes). This radio looks and feels solid and the overall package is attractive. It is loaded with features and the package includes all the accessories that are optional with some of the other brands. The VHF transmitter power range is 1 watt, 2.5 watts, and 5 watts. There are more bands available on the Uniden MHS550 than any of the other radios tested. In addition to operating on the standard VHF and NOAA weather channels, the radio can also receive and transmit on the FRS (Family Radio Service) channels and can receive AM and FM radio. The ability to receive music and news on AM and FM radio might be a plus to go-light kayakers who can take this one transceiver and leave the separate AM/FM radio receiver at home. The Lithium Ion rechargeable battery is rated at 12 hours of run time between charges. A charger for AC and 12-volt DC is supplied. Best of all, a battery case for 4 AAA alkaline batteries is also included in the box, so you have both power options without having to buy them separately. The smaller size of the Uniden MHS550 allows for more carrying options, as it will fit in smaller PFD pockets and other spaces. It has a removable belt clip as well as a tether that attaches to a watchband-style pin in a socket on the side of the case for additional security. The top-mounted knob that I prefer over push buttons for on/off, volume, and squelch is present on this radio; adding another plus for ease of operation. The other control keys are located in the center front between the display and the speaker and can be operated with gloved or bare fingers. As expected from the appearance of its rugged case and well-engineered door for the battery case, the Uniden MHS550 passed the submersion test with no problems. It is a sinker, rather than a floater. When it was retrieved from the bottom of the barrel after the test, no water was found inside. 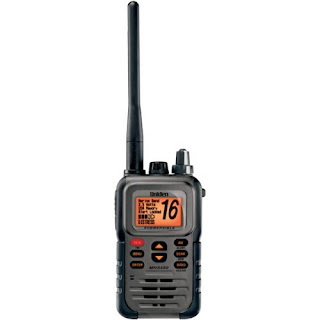 Looking at the West Marine VHF 150 next to the Uniden MHS550, it is obvious that it is essentially the same radio in a different package – a somewhat plainer, rubber-armored, black aluminum case of the same compact size and weight. The layout of the controls is exactly the same, and the West Marine VHF 150 has most of the features of the Uniden with the exception of the extra FRS transceiver and AM/FM receiver bands. The transmitter power is the same, with 1 watt, 2.5 watt, and 5 watt options. Like the Uniden, the West Marine VHF 150 uses the top-mounted on/off, volume and squelch control and the same central keypad layout. The display shows the names of the VHF channels in the same way as the Uniden, which is the best feature of the higher-priced unit. The West Marine VHF 150 comes complete with a Lithium Ion rechargeable battery, an AC and a 12-volt DC charger, and the AA alkaline battery tray for optional power, so despite a lower price point nothing is left out to have to buy later. Battery life is estimated at 12 hours, same as the Uniden. The belt clip on the back of the case is the same removable type used on the Uniden. The tether and attachment point for it is the same as the Uniden. The West Marine VHF 150 is submersible, and like the Uniden is rated waterproof to JIS 8/IPX standards. Testing proved it completely reliable and it came up from the bottom dry inside. It does not float, which is really the only negative to an otherwise great design. All in all, the West Marine VHF 150 packs all the most useful features of the Uniden MHS 550 into slightly plainer package and offers it for a better price. Unless you are the kind of gadget enthusiast that needs all the bells and whistles, this is a great radio for the money. The availability of reasonably-priced, waterproof hand-held VHF marine radios is good news for sea kayakers. There is really no excuse to be without one when you venture into coastal waters, as mariners in distress are saved from disaster on a regular basis thanks to VHF radio communication. Even though none of the three with slight leaks failed, any saltwater intrusion will eventually lead to corrosion of the battery contacts. A little maintenance will extend the life of the radio. At the end of the paddling day after any immersion, open the battery compartment and dry up any water that may have gotten in. Check the seals on the compartment lid and make sure they are clean. I would still take precautions to keep any handheld VHF out of the water whenever it makes sense to do so. If I could have the one perfect hand-held VHF for kayaking, it would be packaged in the rugged case of the Uniden MHS 550 or the West Marine VHF 150, and utilize their simple controls and handy station identification display. It would float like the ICOM ICM-34 and the Standard Horizon HX 750S, and feature the SOS strobe light of the Standard Horizon. A battery case for alkaline batteries would be included equipment, and it would be completely leak-proof like three out of the six units tested. 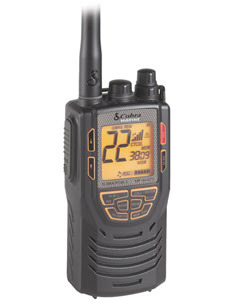 I may not get my perfect radio in the real world, but I would happily take along any of these models tested on my next kayak trip and consider all of them a vast improvement over the hand-held VHF units I have used in the past and I think any of them would give good service with reasonable care. I have to say, that is really one in depth review. 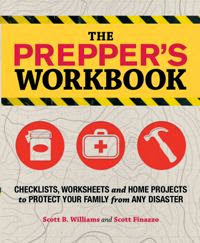 I've been weighing the pros and cons of all the different options, but this post help me to agree with Mayberry, VHF is looking like the best option right now for post SHTF. Keep your posts coming, they're great. Thanks for such a straightforward review of these different handhelds. I purchased a Uniden hand held VHF radio for my boat. Never needed to use it, thank God, but have one just in case,since I live in Kauai, Hawaii, if I have boat trouble the next stop is Japan. I always charge and test the night before each trip. One day it wouldn't work.Brand new radio. Send it to the authorized repair shop in Texas. They charged me $50. and it still didn't work. I sent it back again,the manager Mike Levin said it was working fine. When I got it back the second time it still didn't work. I got no refund, no recourse and a radio that does not work..I will never buy another Uniden product again. My wife & I kayak quite a bit together & have gone thru a number of "waterproof" radios. we'll be looking at these closely. 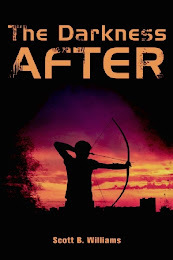 Thanks for a great review. We would like to also find information on good waterproof mike/earpieces for ptt comms... nothing like getting your rhythm going & having to stop to grab a radio to talk... arg! 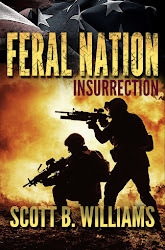 Thanks again for the reviews! I've had a change-of-course recently, however. I earned my basic-level (technician) ham license. (Which doesn't require Morse code anymore, by the way!) A friend from work (long-time ham operator) suggested Yaesu submersible VX-7R hand-held unit. He then showed me that these units are also software "reprogramable." This isn't necessarily "legal," but with a few extra cables via the Internet, and a freeware software download, and a few mouse clicks -- our VX-7R ham radios are now ALSO marine VHF radios, PLUS capable of GMRS and FRS radio functionality. Technically-speaking,you are supposed to also "power-reduce" these mighty little hand-helds for some of these frequencies. Best of all, ham communications allow you to literally communicate around the world (via repeaters, internet connectivity, phone-patching, e-mail via ham, etc.) Plus, these little suckers tune into just about anything/everything you'd wanna hear! Air traffic control towers; ships; ambulances and firemen; some police and military -- even AM & FM radio stations and some old-school TV stations. As you mention, using marine band radios outside of a marine environment is illegal. 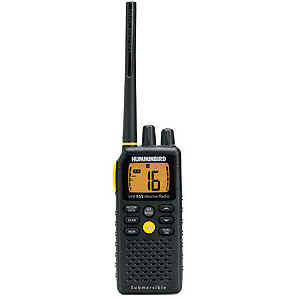 To stay legal and get greater versitility, I would suggest looking at some of the new "waterproof" VHF/UHF handhelds. These do require a ham amateur radio license to use, but the added utility, reach (especially through repeaters) more than offsets the inconvenience of going by the numbers and getting a license. Yaesu VX-6r, Vx-7r are great radios and the new Yaesu VX-8GR has built in GPS. Take a look. What kind of tracking device's are inside these? Im sure that there is a way to track people with these things. What if communications have been jammed? Will these items still work? Direction Finders are used to track where a radion signal is comming from. That means whenever you transmit over the radio you are giving away your location. "ham communications allow you to literally communicate around the world (via repeaters, internet connectivity, phone-patching, e-mail via ham, etc.)" I used to see it this way but after owning Yaesu VX-6r for about 2 years I realized this technology is really overpriced and dead. There is a few local drunks and hobbits that use Hams but that is about it. FD and PD have changed to digitally encrypted system so there is no value in Hams for 'emergency' or chance to 'listen in' on your local rescue crews. If Stuff-Hits-The-Fan you can forget about repeaters, internet, local ham clubs...maybe weeks or months after the fact you will see some chatter but those first days...forget about it. I think that shear number of FRS/GMRS owned (large family, campers, outdooorsmen, hunters) in your neighborhood will have more value and chance of connecting with someone. We have gone threw a lot of radios in the development of our coms plan, I mean a lot of radios. The one that we have finally decided on is the The Wouxun KG-UVD1P duel band. I thought that we had this covered but now your making me think twice. Thanks for the post.